This is an original pastel on paper. 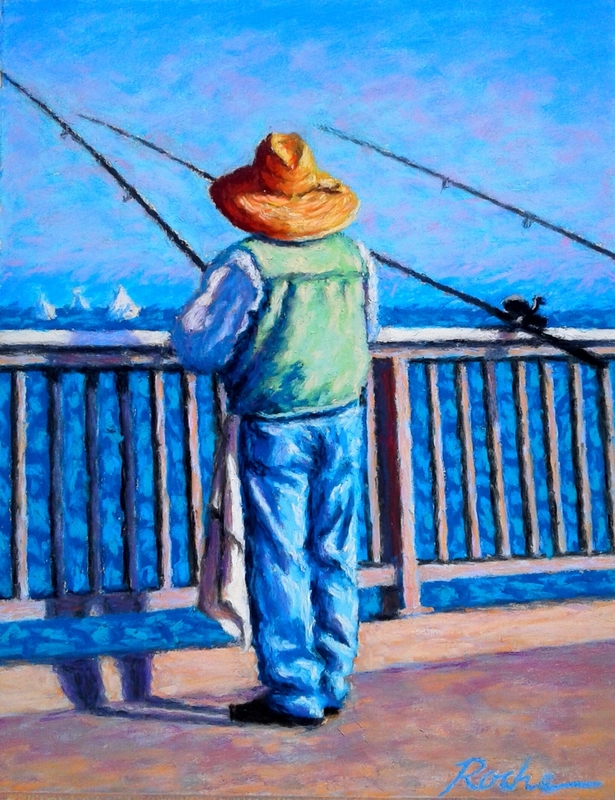 I am always struck by the cool images of fisherman, when I wander the piers off the Southern California coast. 9" x 7"10.5" x 8"11.75" x 9"14.25" x 11"